Stay on the banks of the most hollowed stretch of the Henry’s Fork in Harriman State Park. Also known as The Railroad Ranch, this state park has new facilities featuring ten guest cabins and a conference center. 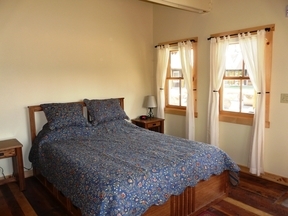 Each cabin has a queen bed or two twin beds, a desk, and restroom. Linens will also be provided. A catering kitchen is also completely equipped for all guests.